This packed Studio release includes powerful new features and enhancements—all based on feedback from users like you. Learn more about what’s new below, and start designing your best screen ever. We can’t wait to see what you create! Download the Kits below and add them as shared libraries in Studio. Other Improvements & Bug Fixes - A quick fix to address a publishing error that could sign you out of Studio. The frame rate of my uploaded or mirrored animations sure are laggy. I can't really show that to stakeholders. Hey Jon — sorry you feel that way mate. Would love to hear more about exactly feels unpolished to you. I really hate the dark UX pattern, that tries to trick me into signup for the Invision newsletter. Shame. Anyone else having an extremely lag when previewing interactions? I'm lucky if I'm getting 2 frames a second on some very simple animations/transitions. I've seen several youtube clips of invision people making some lovely fluid design interactions. Smoke and mirrors? I'm on a brand new MacBook Pro and there is no feasible way I could use this app to show stakeholders interactions of a site. Yup. Same experience. Kind of makes it useless to me. Overall of the product is really laggy. It makes the product useless. PS. Just checked the website, seems its laggy too. Something is wrong with your development. Hey Nick — what version of Studio are you running? Would love to see what problems your having, especially if it's with the newer version of Studio. okay, cool. But i really need global styles and blur. 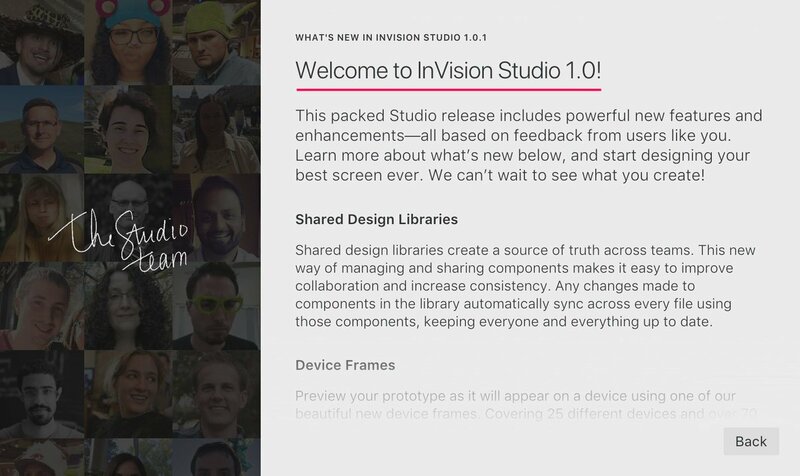 Congrats Invision team. This is a difficult undertaking, and I'm sure you'll get critiqued a lot (maybe rightfully so? ), but launching products is always daunting..
Has this got text styles yet? lol is this thing still going on? No worries mate — hopefully another time. We've got a lot of cool things coming into Studio that I think might take your interest. I hope!